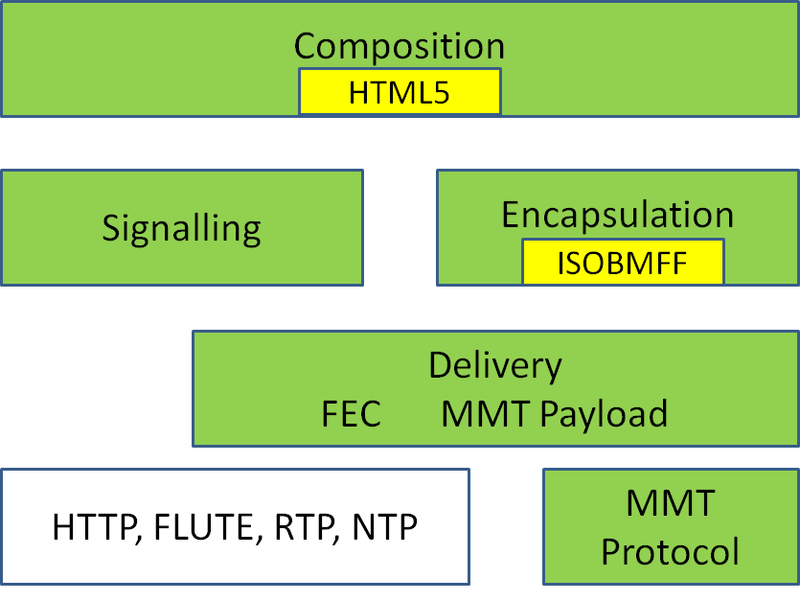 Figure 1 depicts the MMT protocol stack. Encapsulation. 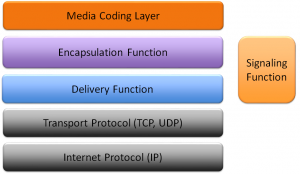 Media components are processed into an MMT-specified format called Media Processing Unit (MPU) that defines the content logical structure and the physical encapsulation format based on ISO BMFF. 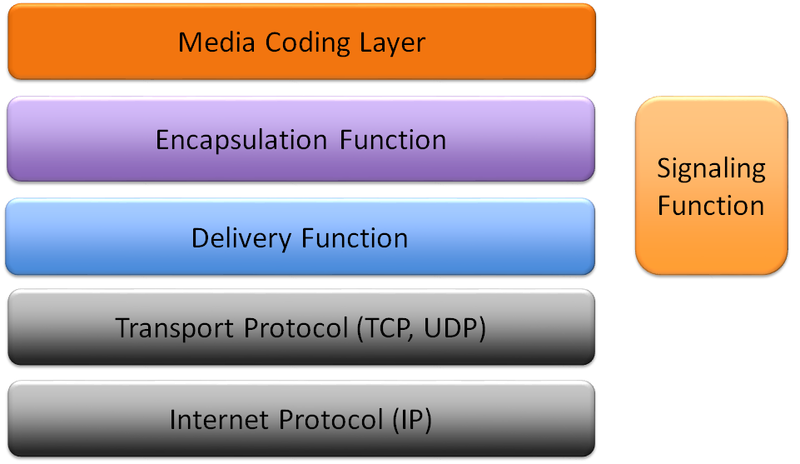 Media component are decomposed into Assets, and individual Assets are encapsulated into a MPU file defined by MMT based on ISO BMFF. Spatial and temporal relationships among multimedia components are represented by HTML5 and Composition Information (CI) as shown in Figure2. This MPU file produced by an encapsulation function is used either to store coded media data on a storage device for delivery preparation. 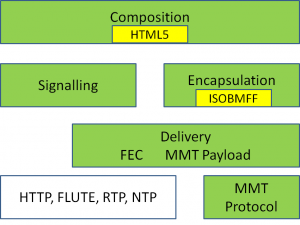 Delivery management messages signal the payload format’s structure and the protocol configuration. MMT Asset is a logical unit for multimedia component elementary streams (e.g. audio, video and data). It contains one/more than one MPU files and has its own ID so that all MPU files of an Asset can be recognised through this ID. MMT Package is a logical unit of content, e.g. a broadcasting program and can be realised by one or more than one MMT Asset. 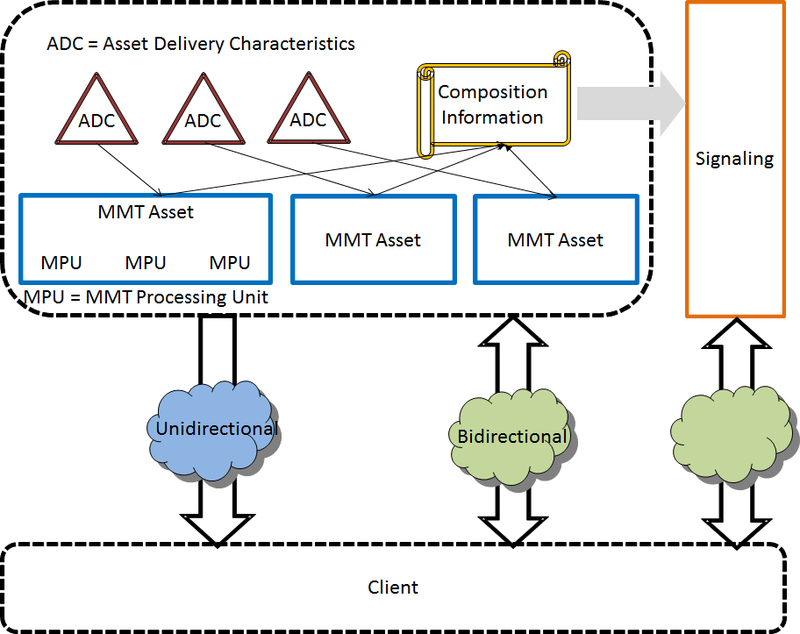 Since an MMT package is represented by spatial and temporal relationship among Assets, and can be delivered by various networks, the MMT Package contains also these relationships and delivery network information. The MMT content hierarchy is represented in Figure 3 below. 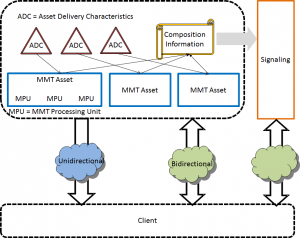 MMT Composition Information provides information on how to presentan MMT Package in terms of both spatial and temporal relationships among MMT Assets in a MMT Package, and thus specifies how to describe and consume a MMT Package in terms of Assets relationships. The information about a MMT Package and the composition of MMT Assets in the MMT Package are described in MMT-CI. As an initial presentation of an MMT Package, the spatial relationship among Assets in the Package is described by HTML5. Assets in the MMT Package may also be delivered earlier or later in accordance with timing of events, and presented in certain regions. This temporal relationship is described by MMT-CI, which is based on XML. Figure 4 depicts how an MMT file (top left) is chopped in MMT packets and vice versa.